The Diamond Sof-Tred Floor Mat is the only mid-price, high performance anti-fatigue sponge mat available. Its durability extends service life by 50% compared to the average "laminated" mat. 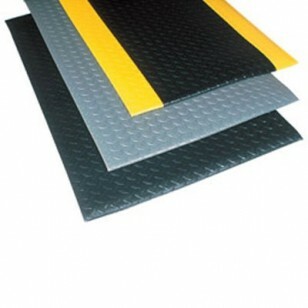 Features Dyna-Shield PVC sponge manufactured into the mat for exceptional durability and toughness. Great for stations where longer lasting fatigue protection is required.